The metro's Phase III, has already missed its December 2016 deadline. New Delhi: The Delhi Metro has set April, 2018 as the fresh deadline for the completion of its longest upcoming corridor, Mukundpur-Shiv Vihar Pink Line, which has been battling land acquisition woes at certain stretches. With this, Delhi's wait for the crucial extension of its signature mass rapid transit, which provides a much needed sheen to its lumbering and inadequate public transport system, just got longer. 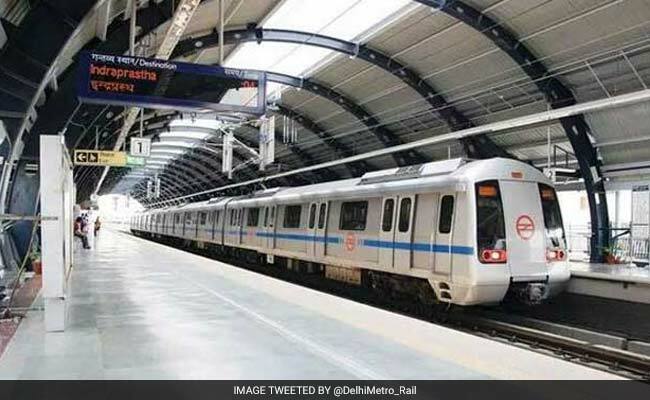 However, a major part of the line, from Mukundpur to Lajpat Nagar, will be "completed" by September, a Delhi Metro Rail Corporation (DMRC) official said, adding that its eventual commissioning may take some more time. The metro's Phase III, of which the 59-km-long Pink Line is a part, has already missed its December 2016 deadline. Since then, the metro has revised the new target date of completion several times. Around 91 per cent of civil works on the line is complete as of March, says the latest available project status report. Magenta Line, another crucial project of Phase III, that will connect west Delhi to Noida via IGI Airport's domestic terminal, is likely to be opened in three stages - from May to September, the report adds. Here, the progress of civil works up to March stands at 91.37 per cent. A small section of the 38-km-long line (Line 8), running between Noida, Botanical Garden and Kalkaji, may be opened by May, before its launch in entirety in December, an official said. Pink Line will touch portions of the inner-ring road and also drastically cut travel time between eastern and southern flanks of the national capital. It will connect northwest Delhi's Mukundpur to northeast Delhi's Shiv Vihar cutting across various south Delhi areas including Sarojini Nagar, INA, South Extension and densely populated parts of east Delhi such as Mayur Vihar Phase I, Vinodnagar and Karkardooma. DMRC chief Mangu Singh had earlier said that both these lines will be launched in a staggered manner, meaning, small sections will be made operational instead of the entire corridors being thrown open in one go. Under the phase-III expansion project being implemented at a cost of around Rs 40,000 crore, a total of 140 km of network will be added to the current coverage of 213 km.